It’s the Moment of Truth. You waited 9 months; you took your folic acid and calcium; you drank glasses and glasses of water and peed a river. You and your husband made it through the delivery, and now you have ten little fingers and ten little toes attached to a bundle of joy that you’re bringing home. Now what? Bringing your baby home is when the rubber meets the road and all that research you’ve done, books you’ve read, websites you’ve browsed and advice you’ve listened to starts to come into play. The hypothetical is over and now it’s Go Time. So, what do you do? We’ve got a few tips that may seem like common sense but are all-too-familiar pitfalls for a newbie. Here is our guide to bringing home your newborn. Wheels: Yes, you want to make sure you have a car to take you and your baby home, but more important than the car is the car seat. And, no – under no circumstances should you hold your baby, in either the front or backseats. As safe and comfy as your arms may be, a car seat, with the proper 5-point harness is much safer for your precious cargo. So, before you and your new family start for home, make sure you have the car seat properly installed and that you know how to adjust the straps so they are tight enough (but not too tight) for your child. The car seat should be rear facing, and with a newborn, you likely need some type of head support – something you can find in the baby store. Very often, hospital staff need to see your car seat before they send you home with your baby so make sure you’ve got it all set well in advance of the Big Moment. If you really want to be prepared, many local fire stations will inspect your car seat to ensure you have it properly installed. And, with your child, can you ever really be too safe? Wardrobe: Going Home Day is definitely a photo op moment for everyone in your family, so you want to make sure you bring the right outfit for your newborn. However, new moms sometimes make the mistake of overdressing a newborn, especially in an effort to outfit your baby in a precious, handmade or specially purchased ensemble. Rule of thumb: Dress your baby for the same climate or temperature for which you are dressing; if you don’t need to bundle up, neither will he. If it is wintry or cold outside, though, be sure to include something to put on your child’s head – after all, it’s true that babies lose heat very quickly through their heads. To summarize, be mindful that you don’t underdress or overdress your baby; an extra blanket is always handy in case it’s windy or cold, and of course, take those precious photos – these are memories you won’t want to miss! Visitation Rights: This gets a little tricky, especially if you have a large family or one who lives close by. 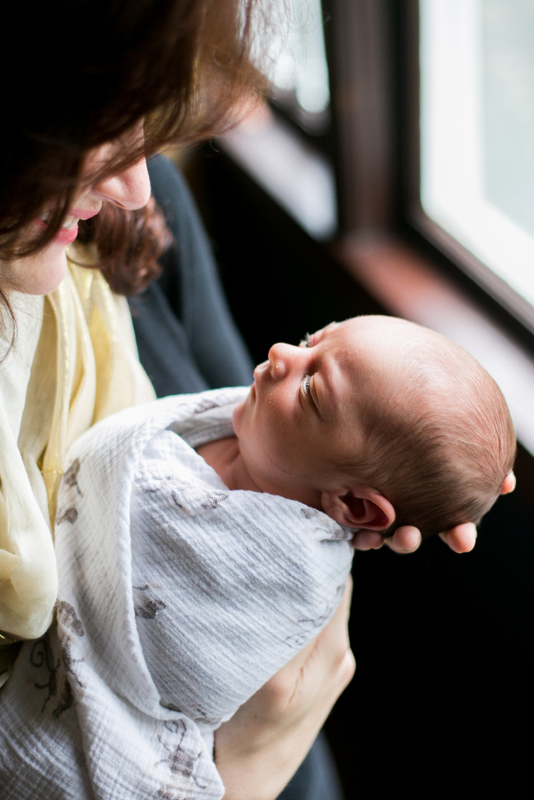 Once you and your baby are home, many people are going to want to stop by to see you both, bring a meal, hold your newborn and sniff that fresh, “baby” scent. It’s OK that everyone wants to visit, but it’s even more OK to manage and limit guests, especially in the beginning. If you’ve had a C-section or an exhausting labor, you need to use any free time to heal and rest – after all, your baby’s depending on you. Also, you and your partner need to get used to your new family dynamic and start to establish routines. You may want privacy while acclimating to breast-feeding and prefer it not be a spectator sport. All this is acceptable! After all, you’ve just given life. So, appoint your husband, a family member or close friend to help limit visitors and encourage them to come at a later time. It’s perfectly fine to have someone manage your phone, text and even email so that guests come in small doses and only when you’re ready. After all, you and your little one aren’t going anywhere fast for 6-12 weeks. There’s plenty of time to be social later. Ask the Professionals: No, we’re not talking about your mom or mother-in-law. We mean the pediatrician who will be caring for your child. Most doctors want to see a newborn within 24 hours of bringing baby home. You don’t want to forget this appointment as this is not only a checkup for your child but a great time to ask the questions you didn’t think about in the hospital or when you were choosing a pediatrician. As you think of questions, jot them down so you have them ready for the doctor. Bring that notepad with you so that you can also capture anything they tell you. Even better, bring your husband and ask him to pay close attention and not drift off to ESPN-Land. After all, two sets of ears are better than one, and you’ll still have hormones, fatigue and all sorts of things coursing through your body and mind. Listen to the doctor’s instructions when leaving the hospital as well as during that first checkup. It’s also good to know how their office works and how to reach a medical professional when you have questions – especially questions that can’t wait. Most pediatricians have a non-emergency option where you can speak with or leave a message for a nurse, during hours. After hours and on weekends, find out how to reach the on-call doctor. Hopefully, you will rarely need these resources but you want to know what they are and how to use them – before a situation arises. Stock the Cabinet: When it comes to skincare, there are just a few newborn baby products you’ll want to have on hand in your nursery the day you bring home your little one. Find a good baby wash – preferably one that is also a shampoo so it can do double-duty. Look for products that are not irritating and are hypoallergenic so they won’t bother your baby’s delicate skin. You won’t be giving your baby a bath until his umbilical cord falls off, but this might be one more thing you can check off of your list. A quick newborn baby tip is to find one with a cap that can be opened with one hand. You’re going to have a slippery newborn to hold onto, so you’ll only have one hand to work with. You’ll also want a good cream to use on a daily basis to keep skin healthy and hydrated. Look for a cream rather than a lotion so that it works harder for you. And again, look for hypoallergenic, non-irritating formulas. As for all of the other products for skincare, you probably won’t need them on day one, so start with just these couple of products. You spend so much time planning for that moment when you’re actually a family that it’s easy to think in theory and not actually consider the reality. As a new mom, you might have more questions than answers, so these helpful hints are here to help you scratch the surface of the amazing journey that is motherhood. So, embrace what you know, investigate what you don’t, use your head and follow your heart, and most of all, let your maternal instincts kick in and trust that you will know and learn what to do. After all, you’re a Mom! For more information on our products, including those that are safe for newborns, check out our product page.